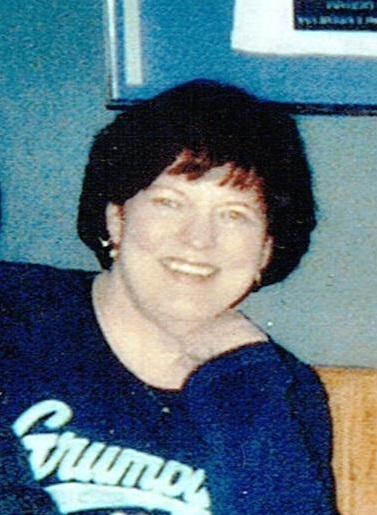 Kathleen (Kay) Schrader Standing, born March 25th, 1949, left us on August 5th, 2014. I was born in Madison South Dakota to Alvie and Jeanne (Foley) Schrader. My brother Gary was born in 1953. We moved to Sioux Falls in 1961 as my dad had to go into a nursing home. We shared a home with my Mom's twin sister, Bethy and her two sons, Steven and Michael Floe. It was the best of both worlds. I went to Cathedral for 2 years, O'Gorman for 2 years and Washington for 2 years, graduating in 1967. I did go to USD for one year but majored mostly in partying. I moved home and went to Stewarts and received my diploma. It was during this time â€“ in 1970 to be exact â€“ that I met Rick Standing. We got married in 1972 and had our son Aaron in 1976. He was born on Leap Year Day and inherited my red hair, the poor kid. He has been such a joy to me and all of us. I worked for Hair and Hair South for a few years and was then able to stay home with Aaron. But even I got tired of sitting around and doing nothing, so I went job hunting and eventually found the perfect one for me. In 1987, 20 years after graduating from Washington High School, I went back there to work part time in Child Nutrition at and stayed for 22 years. What goes around comes around. The presence of the children and often their parents could often change a bad day to a good one; change tears into smiles. I fed many of your children and grandchildren and can tell you that they were all joys to us. All my love to: Karin, Joyce, Joycee, Terrie, Barb, Dee, Teresa, Julie, Betty - and please fill in any I have forgotten. A special thinks to Joni Davis who allowed me to continue working, and to Hank, whose presence in the hallways and cafeteria could really brighten up my day. I am really trying to get everyone but I know I am missing some, so please forgive me. I hope everyone knows how much I cared for them. In 1998 I had been diagnosed with interstitial pulmonary fibrosis with short life span. It is an autoimmune disease with no real cure. They said it would be a miracle if I made it ten years. I sure outlived their guesses. I am saying a loving good-bye to my husband Rick, son Aaron, Mom Jeanne, Brother Gary (Michelle), aunt Collette and her five daughters, and my beautiful grandsons, Griffin, Jagger and Daxton. Goodbye as well to my cousins Steve and Mike, and all of the Foleys. I was fortunate to have such an extended family. I was preceded in death by my Dad, all my grandparents, my aunts Bethy and Connie, my uncle Francis, my cousin Conni, my close friend Jeannine Mason, and my grandson Atticus Jack. Loved but never forgotten: Sherry, Karen, Julie, Kathie, Cathi, Paula, Sally and Betty. Also Sally P, who pulled me through a lot of bad days and made me presentable. A special thanks to my aunt Collette, who came to stay and help my mother and I several times. My final goodbye is to my Mother, who guided me through this long journey, and to Rick, who gave me the will many times when I wanted to give up. I will check on Atticus Jack before turning back to check on all of you. I will see you all eventually, it will just be the getting there that seems so long on any given day. Just remember, whenever you see a dragonfly, I will probably be on his back, checking on your safety. I think that will be my job now. The smaller red ones make me think of what Atticus would look like had he lived. To each and every one of you, we send you our love. We are taking care of each other, and now you can take care of each other until your time comes. We miss you but are not alone. Visitation will be 12 noon on Saturday at Barnett-Lewis Funeral Home with a memorial Service at 1 PM.